Arkanoid is one of the most popular classic video games worldwide. It is a game in which by moving a platform you had to destroy various walls with a ball. 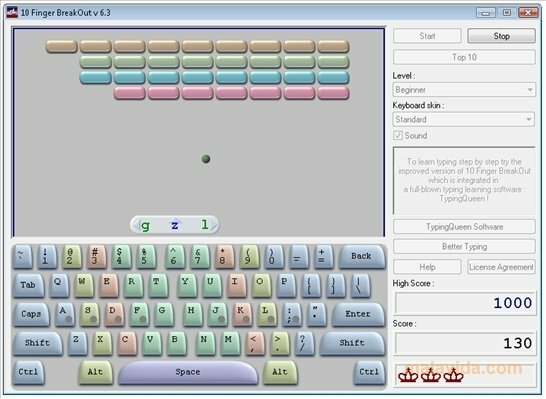 Now, thanks to 10 Finger BreakOut, as well as being able to have a good time breaking the walls, we will also be able to practice our typing skills, because the mobile platform will only move if we press the proper key. 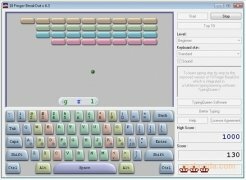 The game has three different difficulty levels, from one that is focused towards beginners, in which only certain keys will be used, and in which we will be able to see a virtual keyboard on the screen with all the letters, to an advanced version in which it will be necessary to use the full keyboard. 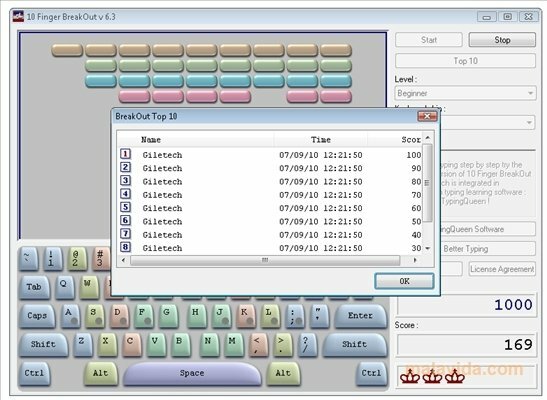 The interface it uses is very simple, and thanks to this the game is hardly a load for the system, so it can be used on practically any modern PC. 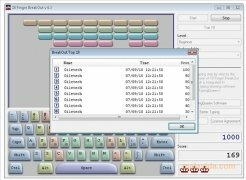 If you were looking for a method with which to gain a lot more skill when typing with the computer keyboard, download and install 10 Finger BreakOut, and have good time while you are at it.